Morag Wood has over 20 years experience of working with electrolysis clients. During this time she has also lectured in and trained many therapists in epilation skills. 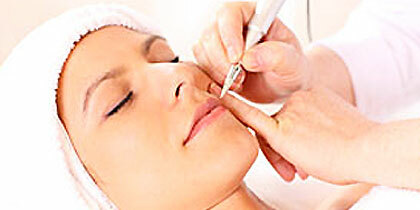 Areas most suitable for treatment are: chin, cheeks, neck, lip, eye brow, under arm and bikini line. In the hands of a well trained electrologist it is a perfectly safe and highly effective treatment. One of the 3 different methods of electrolysis will work on (and is suitable for) ALL hair types and colours and ALL skin types and colours.